graduated in Dec 1989. She was recruited from UMASS into Pratt & Whitney’s Financial Leadership Program, which is now UTC’s Financial Leadership Program. Angela is currently the Controls and Compliance Manager for Operations Finance at Pratt & Whitney. 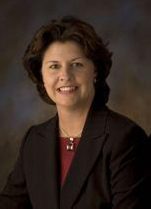 Over her career, Angela has held various leadership positions within the Commercial Engines Finance organization, the Controller’s department, and most recently in the Manufacturing Operations organization at Pratt & Whitney. Over her 25 years with Pratt & Whitney, she has managed teams responsible for various functions within Financial Planning and Analysis, Commercial Accounting, and Commercial Engines Consolidations and Reporting. Additionally, she was a Group Controller for Pratt & Whitney foreign subsidiaries in Switzerland, China, Singapore, and Israel.